S.H. Knight Collection, Box 48, American Heritage Center, University of Wyoming. Happy National Donut Day! So, what’ll it be? Cake or raised? Sprinkles or coconut? Jelly or custard filled? There are so many options when it comes to donuts–it’s always a difficult decision. 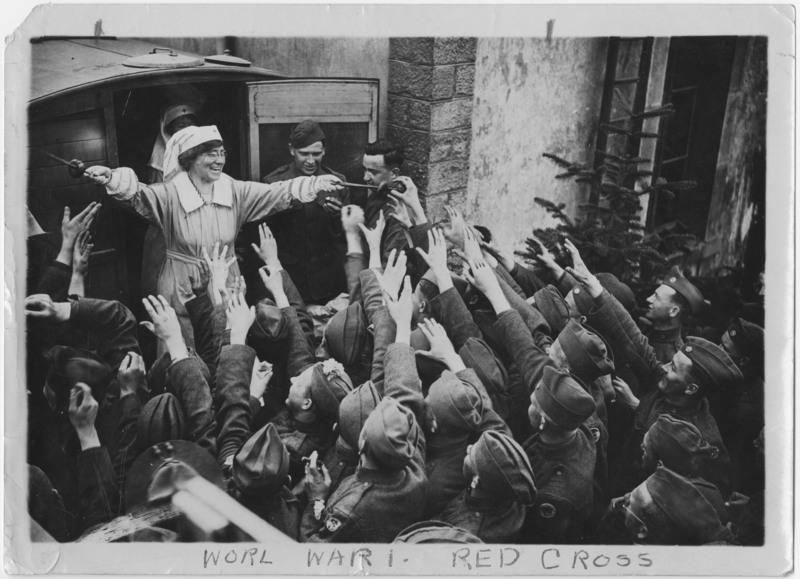 In this photo, Harriet Alice Howell, a Red Cross worker, distributes donuts to World War I soldiers. This practice led to the introduction of a national but unofficial holiday in 1938 to honor the women who served donuts to soldiers. National Donut Day is still celebrated on the first Friday of June. This entry was posted in found in the archive. Bookmark the permalink. 1 Response to Celebrate National Donut Day!